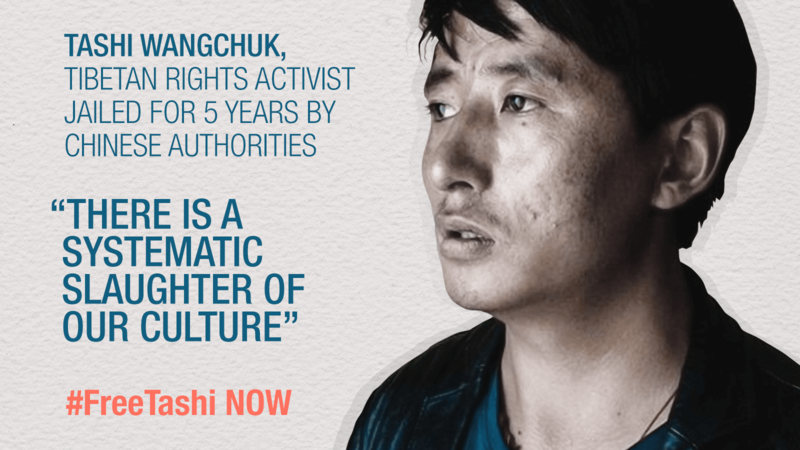 27th January, 2019 marks the third anniversary of the detention of Tibetan political prisoner and language rights activist, Tashi Wangchuk who is currently serving a five year sentence by Chinese authorities for the false charge of “incitement to separatism”. Tashi Wangchuk, a Tibetan Shopkeeper, 34, was detained on 27th January 2016 after he featured in a New York Times article and video report(link in below) in which he took his concern and complaint against Chinese officials to Beijing hoping media and Court can reverse what he see as the systematic eradication of Tibetan language in Tibet by not supporting Tibetan’s rights to Tibetan language education. Tashi was held for two years without trial and in May, 2018 he was sentenced to a five year prison sentence on charges of “incitement to separatism”. Recently his lawyer Lin Qilei was denied visit to to meet his client, Tashi wangchuk at Dongchuan Prison, Xining in Qinghai on 15th January 2019. Till now Tibetans and Civil Society have raised voice on the injustice done to Tashi as his complaint was done legally and was within the Chinese constitution. We urge the world governments to raise calls to Chinese government on the immediate release of Tashi Wangchuk as he have committed no Crime.